This has been a very musically week to me. In fact it has been one of the nicest weeks in months. 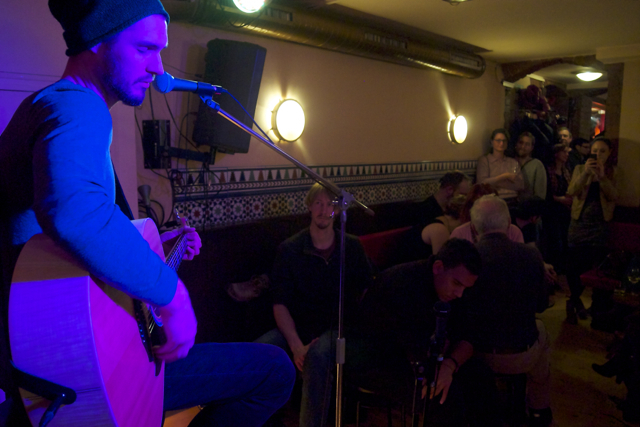 I played two open mic shows at Arcanoa and Dodo where I met a lot of really good musicians and very nice people. 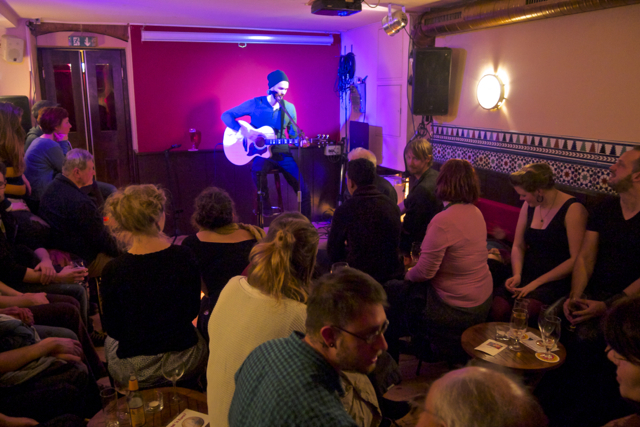 As a singer that is used to play only in Rock bands and in very loud surroundings it is totally new to me to get in front of people with just my acoustic. What started as an experiment now turns out to be something I really enjoy doing. A big thank you to you who gave me those beautiful feedbacks after the songs. It pushes me to keep on playing those acoustic singer-songwriter stuff I denied to be a part of my art over the last years. To give your mind an impression of the past week just hit the pics down below these lines. If you like what you see and here I´d be happy if you are going to give me a “like” on my Facebook Page. And of course I am interested in any feedback. 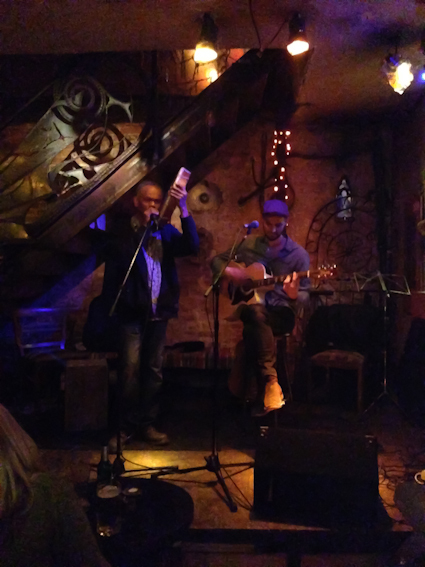 And for all of you who are looking for a nice bar with a great host (Ralf) and pure live music I recommend the Dodo – Großbeerenstr. 32 – 10965 Berlin. Have a relaxing start into the week.